The multi-award winning international sensation SLAVA’S SNOWSHOW returns to Southbank Centre’s Royal Festival Hall for an unprecedented fifth season of festive magic from 18th December 2017 – 4th January 2018. 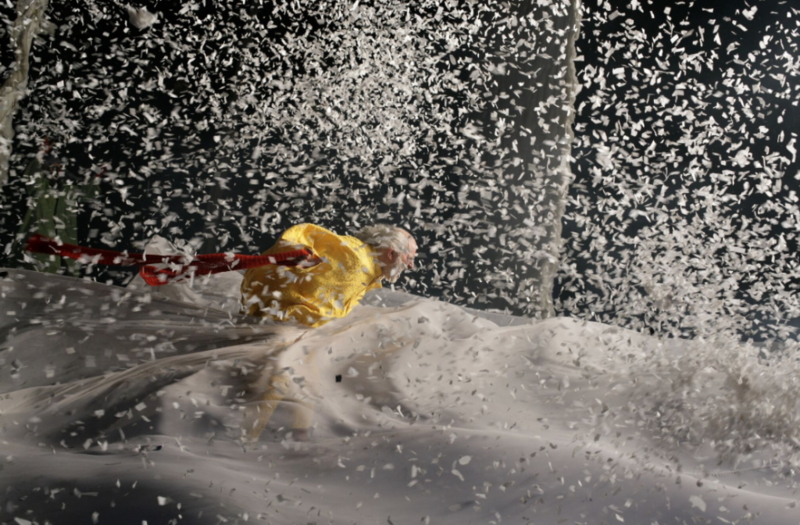 The Snowshow is produced by Matthew Gale and Mark Goucher and is part of the Wintertime at Southbank Centre season. 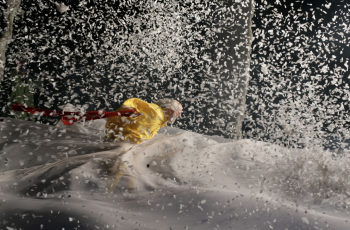 A combination of theatrical clowning and stunning visual spectacle, SLAVA’S SNOWSHOW is performed by a world-renowned company of clowns led by Slava Polunin, Artistic Director of the St Petersburg Circus. SLAVA’S SNOWSHOW is the internationally acclaimed winner of the Time Out, Olivier and Drama Desk awards for most unique theatrical experience. Now in its 25th year since its inception, it had its UK premiere at the Edinburgh Festival in 1994, and has since toured all over the country, delighting audiences of all ages and winning an Olivier Award for Best Entertainment during its run at the Old Vic in 1998. The show’s popularity overseas has seen it performed in 80 cities around the globe including New York, Los Angeles, Paris, Rome, Hong Kong, Rio de Janeiro and Moscow. 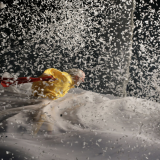 Ahead of the opening of UK Slava Polunin visits the UK to launch his new book Alchemy Of Snowness. The publication explores Slava’s role as an artist, a creator, a performer, and of his Snowshow, the theatre spectacle that has entertained, enchanted and touched audiences worldwide. The book traces Slava’s artistic journey and exhilarating exploration in his creation of “a show that would bring us back to our childhood dreams; a show which would help spectators be released from the jail of adulthood and rediscover their forgotten childhood”. With 27 stunning illustrations throughout by artist Quint Buchholz punctuating Slava’s poetic storytelling this book is a must-read for anyone intrigued by the creative process and for those longing for a little magic in their lives. The UK launches take place on Tuesday 23 and Wednesday 24th May at 6.30pm: Waterstones, 203-206 Piccadilly, St. James’s, London W1J 9HD. The show’s triumphant return to the Royal Festival Hall after four highly successful winter seasons will mark the culmination of the latest stage in an extraordinary journey, which has seen it become a key part of the UK cultural landscape.